Learn everything you need to know about wikis and the problems they solve in the context of companies. What is a company wiki? This question is best answered by looking at the way people exchange knowledge in companies. Many teams use email, chat, calls, and network drives to distribute and exchange knowledge. This results in a chaos of files, folders, and difficult to find documents. A company wiki solves this problem by bringing all of a company's knowledge into a single place that everyone can access and contribute to. 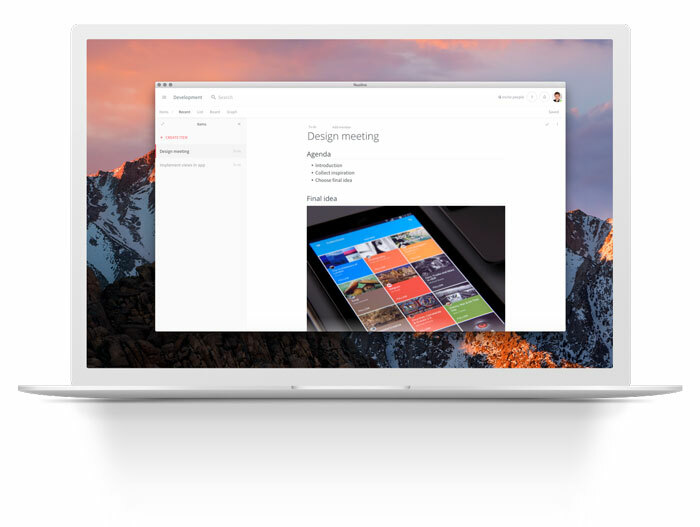 Nuclino gets out of your way by providing a lightweight user experience that allows everyone to get up to speed on their first day of using it. This is an important part of a company wiki as it will have a major influence on whether the information will be kept up-to-date or not. Traditional wikis and intranets are bloated and difficult to use, which is often one of the root causes of a “dead wiki”. This is not a concern in Nuclino. An integral part of organizing knowledge is the structure we use to store and access it. Using a system like files and folders makes it difficult to find the relevant information in teams of any size, but especially large ones. A company wiki solves this with the power of the web, which is built on the idea of using links to connect all knowledge. A good example is Wikipedia, which organizes all knowledge using page links. In addition to providing such links, Nuclino goes a step further and offers the option to use hierarchical tags (called clusters in Nuclino), which allow you to put the same page in multiple destinations. Gone are the days of arguments revolving around “Why and where has the spec sheet been moved?”. Team members have different preferences and might want to store documents in different locations. This often leads to redundant copies and outdated versions of the same document. Nuclino solves this problem once and for all using hierarchical tags. Every company wiki uses some kind of editor which team members use to contribute knowledge and to write project documentation. Unfortunately, most traditional wikis use a markdown language for formatting, which is difficult to learn for non-technical users. Nuclino offers an easy-to-use WYSIWYG editor, which works similarly to Google Docs and Word. This allows any team member to contribute on their first day of using Nuclino. In comparison to an open wiki like Wikipedia, where anyone around the world can access and contribute content, a company wiki is usually closed and only accessible to employees. The terms enterprise wiki and private wiki are also often used in this context. Access rights can get complex and hard to understand depending on the system that is used. Nuclino offers a very straightforward way to manage access rights, which builds on the idea of teams and workspaces. 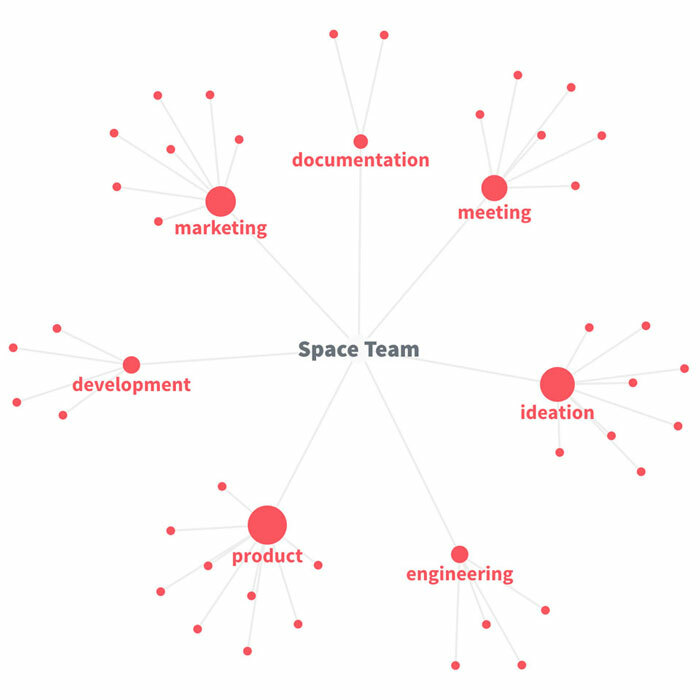 A team represents the whole company and contains workspaces, which are used to organize content and access rights around topics or departments. 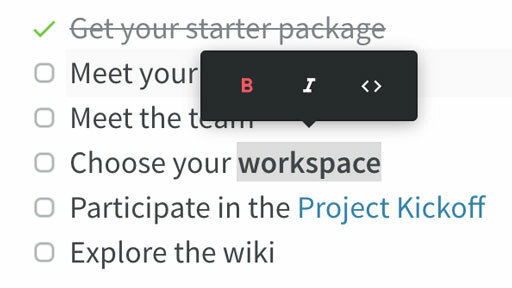 Team administrators can decide who can read and edit documents of different workspaces. At the end of the day, it's important to remember that a wiki is about building an environment that encourages and supports the open exchange of ideas.